On Sunday, March 13, Avaal Technology celebrated the graduation of its 116th successful class of students for the Avaal Dispatch Specialist Course. The graduating students took part in a 40 hour program, where they experienced both classroom and actual hands-on job training to prepare them for their future careers. The course modules introduce innovative techniques to effectively launch and operate small to large scale trucking companies with an emphasis on strategic business management. Key modules include freight matching, route optimization, border crossing, and obtaining freight contracts. Avaal trains students on TransCore�€™s 3sixty line of software solutions. The computer based applications are designed to streamline the fleet management process, and ultimately help companies increase profit levels. 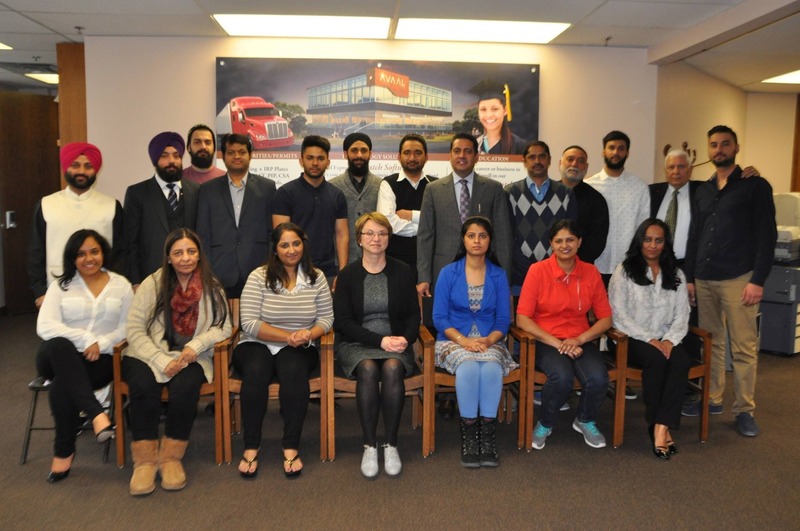 Graduates from the 116th class included: Bally Takiar, Kamaljeet Kaur Gill, Diljeet Kaur Longia, Kamaldeep Kaur Hundel, Poonam Kapoor, Manpreet Singh, Vikas Gupta, Navtej Singh, Bachiter Bhullar, Sukhjit Khangura, Amir Mushtaq, Asmal Husan A, Maninder Dhillon, Gurdev Singh Sajjan, Harkamal Singh, Nicola Emma Sancho-Persad, and Sagardeep Singh. The graduation ceremony featured guest speaker Beata Kratiuk, owner of Noble Group of Finance Inc. Dr. Ranvir Sharda presided over the event as MC. After the ceremony, students and guests were served lunch by Avaal staff and participated in a group photograph session. Through its determination and industry wide experience, Avaal has become one of the most distinct colleges on the international frontier. The IT firm has gained recognition as a leading edge private career college endorsed by the government of Ontario. The college�€™s primary objective is evident in its unique style of teaching, which encompasses a well blended mixture of both hands-on practical experience and theoretical knowledge.